The New South Wales Court of Appeal overturned a 2008 judgment in favour of Mr Akerman’s publisher Nationwide News and yesterday ordered them to pay Mr Habib’s legal costs in the five-year-old battle. Another hearing will now be held to determine what damages he will receive for the 2005 article in The Daily Telegraph and other News Ltd newspapers, headlined ”Mr Habib, it’s time to tell the full story”. Today, with the Egyptian uprisings in full swing, the man tapped by the US, Israel and the West to lead the country, Omar Suleiman, was one of Habib’s torturers and there is intense scrutiny of who this man truly is. The guard quickly told me that the very big boss was coming to talk to me, and that I must be well behaved and co-operate. Everyone was nervous. 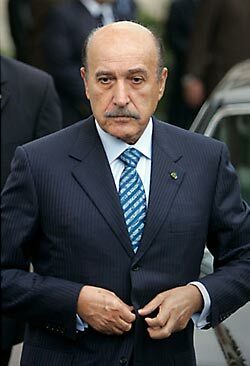 I have since found out that the boss was Omar Suleiman, head of all Egyptian security. He was known for personally supervising the interrogation of al-Qaeda suspects and sending reports to the CIA. In the beginning, he was often present during my interrogations. He must have thought that he had a big fish when I was sent to him by the Americans and Australians. “You think I can’t destroy you just like that?” He clapped his hands together. “I don’t know”. I was feeling confused. Everything was unreal. The guard then guided me out of the room and through an area where I could see, from below the blindfold, the trunks of palm trees. We then went through another door back inside, and descended some steps. We entered a room. They sat me down. “Now you are going to tell me that you planned a terrorist attack”, Suleiman persisted. “I give you my word that you will be a rich man if you tell me you have been planning attacks. Don’t you trust me?” he asked. “I don’t trust anyone”, I replied. Immediately he slapped me hard across the face and knocked off the blindfold; I clearly saw his face. “That’s it. That’s it. I don’t want to see this man again until he co-operates and tells me he’s been planning a terrorist attack! he yelled at the others in the room, then stormed out. The guard came up to me, upset that I hadn’t co-operated. They then took me to another room, where they tortured me relentlessly, stripping me naked and applying electric shocks everywhere on my body. The next thing I remember was seeing the general again. He came into the room with a man from Turkistan; he was a big man but was stooped over, because his hands were chained to the shackles of his feet, preventing him from standing upright. They dragged the dead man out. “What do you think of that?” asked the general, staring into my face. “At least he can rest now”, I replied. Then they brought another man in. This man, I think, was from Europe – his exclamations of pain didn’t sound like those of someone from the Middle East. He was in a terrible state. The guard came in with a machine and started to wire up the guy to it. They told the poor man that they were going to give him a full electric shock, measuring ten on the scale. Before they even turned the machine on, the man started to gasp and then slumped in the chair. I think he died of a heart attack. There was a window in the room, covered by a curtain. The general drew back a curtain, and I saw the top half of a very sick, thin man. He was sitting on a chair on the other side of the glass, facing me. “You know this guy?” the general asked. I looked again, and was horrified to see that it was Mohammed Abbas, a man I had known in Australia who had worked for Telstra [Australian telecommunications company]. He had travelled to Egypt in 1999, and had never been seen again. It was then that I knew I was in Egypt, without a doubt. They then took Abbas away and closed the curtain. After the first interrogation with Suleiman, I believed the Egyptians weren’t interested in where I had been; they only wanted me to confess to being a terrorist and having plotted terrorist attacks so they could sell the information to the United States and Australia. I decided then that I wouldn’t answer questions or explain anything; but, as a consequence, I was badly tortured in Egypt.